All Parafly team members have long-time experience as paragliding pilots. Having governmental licenses and examinations is a requirement for all Parafly team members. 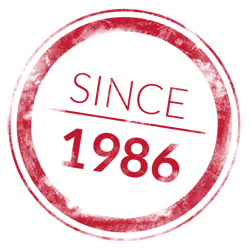 Parafly – the paragliding school you trust, with tradition and experience, since 1986. 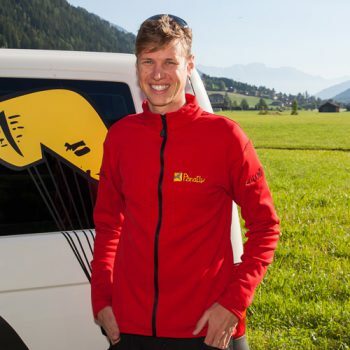 Founder of Parafly, paragliding pilot from the beginning, paragliding instructor, Skyperformance trainer, DHV examiner, expert for paragliding tours, co-operation partner Papillon Alpen Paragliding Center. 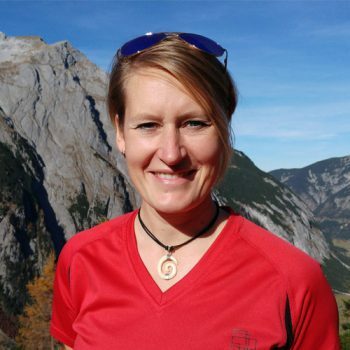 During the last years, Monika has specialised in paragliding tours during the last years. She always follows the sun and the good weather, together with other paragliding pilots. Monika is responsible for the growing passion of new pilots and always has a tip for experiences pilots. She still flies with the same passion as she did when she first started. Moni’s motto: Anything is possible. Moni is a talented organiser. It could happen anytime that she packs her gear and follows the good weather through Europe. DHV instructor assistant, BA in Tourism and leisure, organisation, shop, tandem pilot, ski instructor. DHV instructor assistant, BA in Tourism and leisure, organisation, shop, tandem pilot, ski instructor. She grew up at launch sites and landing spots. Florina travelled the world during her studies. Her favourite destinations are South Africa, Bali and France. The flights at sunrise from Schlick2000 count to her favourite flying events during the year. Florina is a happy soul – her good mood is infectious. The paragliding students love her calm and patient nature. She’s very social and responds to individual needs. Florina’s motto: Happiness is only real when shared! Great moments, experienced together. That’s what makes her happy! Tandem pilot, DHV instructor assistant, head of service check. Kilian is our Checker – he offers you maximum service. He‘s a trained master joiner and brings his technical skills in our service workshop. He‘s very accurate and precise. APC paragliding instructor, Skyperformance-Trainer, tandem pilot. Thomas has years of flying experience and a skilled eye for his students. Many students know his professional and sporty traits. During summer, Thomas also offers tandemflights to show pedestrians the Stubaivalley from the bird’s eye view. APC paragliding instructor, Skyperformance-Trainer, tandem pilot, master studen in meteorology. 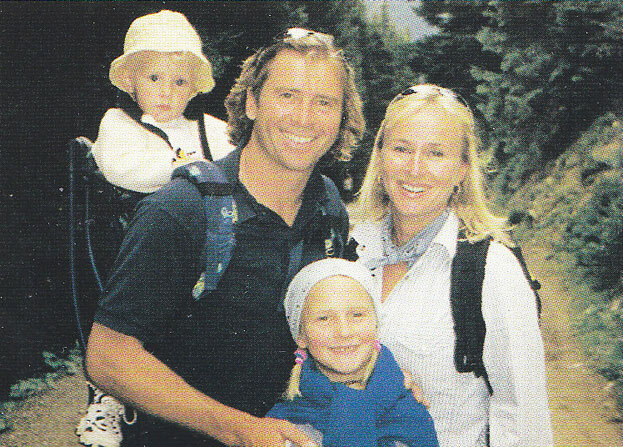 Daniel grew up in the heart of the alps and is a real tyrolean. He began his meteorology studies because of his love for paragliding. 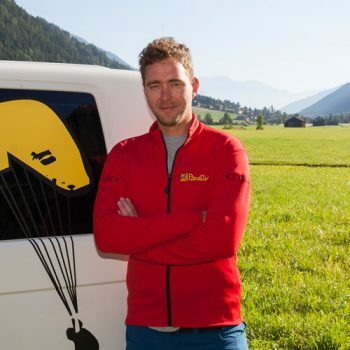 Since 2012 Daniel works as a paragliding instuctor and wakes passion in his students with his fundamental knowledge. Ingo got infected with the flying virus in Italy. He is a real Hamburger who started his paragliding career in Bassano. He was so excited that he followed his calling and changed the sea for the mountains. Since 2015 he lives in Stubai. Hedda is a passionate paragliding pilot. She started her career with 14 years in one of our courses and had her A-license one year later. As our Allroundintern she helps and supports us during the summer holidays and collects her flights for her B-license. 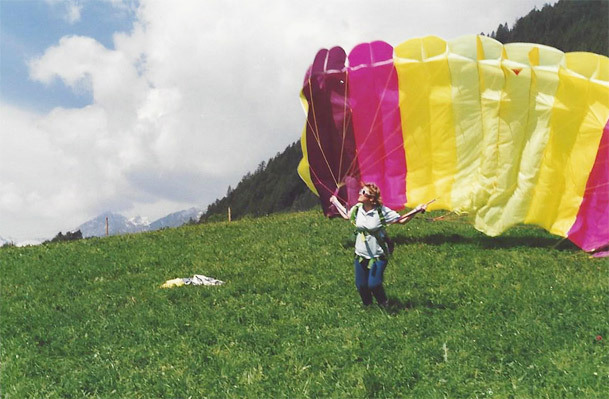 Our tandem pilot Adriana studiedr marketing management in Switzerland 10 years ago. She started paragliding in South Tyrol and since then is a keen pilot. She has more than 11 years of experience. During winter, Adriana flies in Lanzarote. 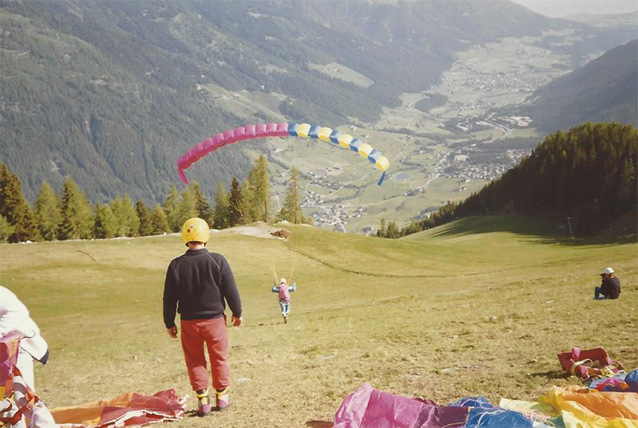 Growing up in a flying family Johanna got a taste of paragliding from a young age. At the moment she is working on graduating from school but during summer she helps wherever and whenever she can. Apart from paragliding she also loves horses. 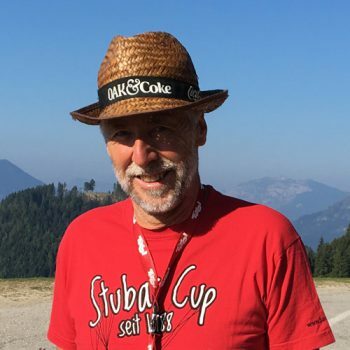 Born and bred in South Tyrol Kuno is the ideal guide on foot and with his wing for all tours in South Tyrol. He is a trained mountain guide and a real outdoorsman. He also works as a professional arborist. 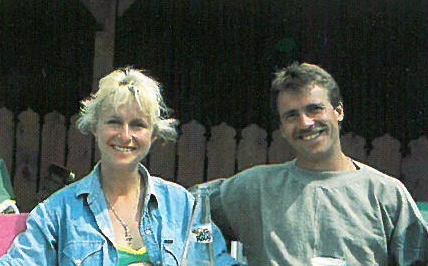 Kuno started paragliding over 30 years ago and is known for finding every thermal – even the smallest one. You’ll get to know Kuno on our paragliding tours. In 2003 Claire discovered her enjoyment for flying. Before that, ball game dominated her free time. She wanted to be in the mountains and nature and loved to see them from above. 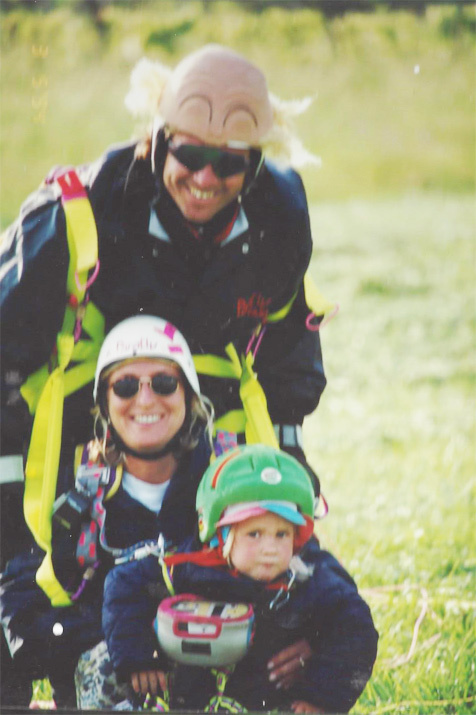 In 2007 she started her training to become a paragliding instructor. 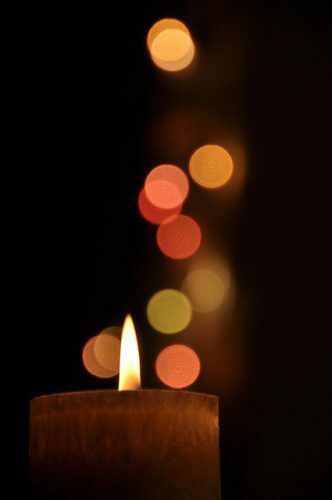 When she’s not in the air, Claire works as an event manager in Munich. Our old flying eagly is in the air for 40 years. His hobbies are paragliding, skiing, hiking or biking. Sometimes you can even see him on a trike. His passion is flying and he likes to fly long distances and loves adventures. As a pensioner he supports us on tours. We exclusively work with independent and professional tandem pilots with long time experience. 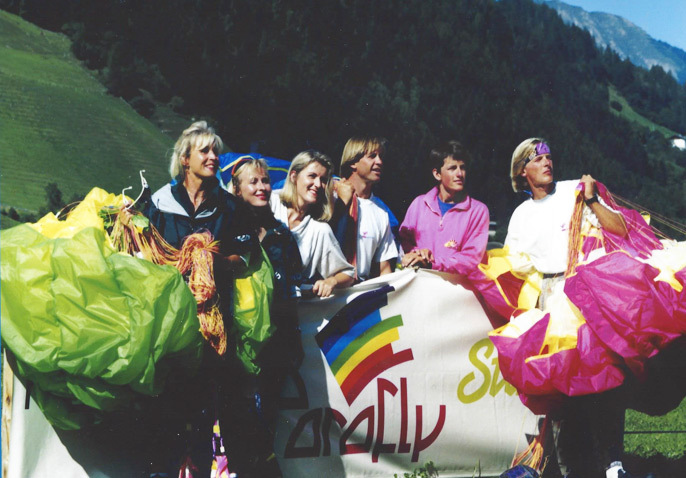 In 1986 Hans-Peter and Monika Eller founded the paragliding school Parafly Stubaital GmbH in Neustift im Stubaital. 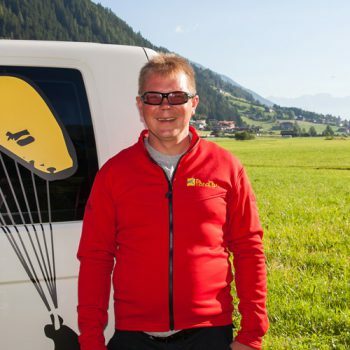 Hans-Peter decided to turn his hobby into his profession: from teacher to paragliding instructor. Also, Monika quit her job and began working on the joint “airy”venture. This is how they also became a team on the job. Opening of the office with a shop in Neustift im Stubaital as a central place to go for aviation enthusiasts. At this time, paragliding was still in its infancy. First safety training with paragliders above the Achensee. Back then they got skeptical views of competitors. 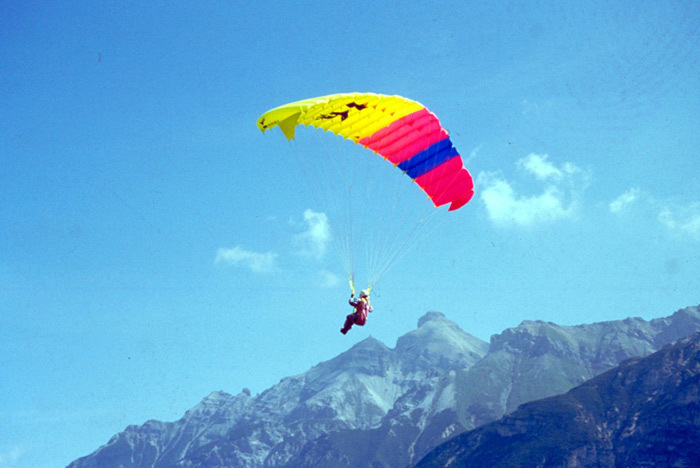 Soon, the safety training became a fixed component in the training of paragliding pilots. Hans-Peter becomes a member of the Austrian National team. Monika successfully completed her training to become a registered paragliding instructor. Florina was born! 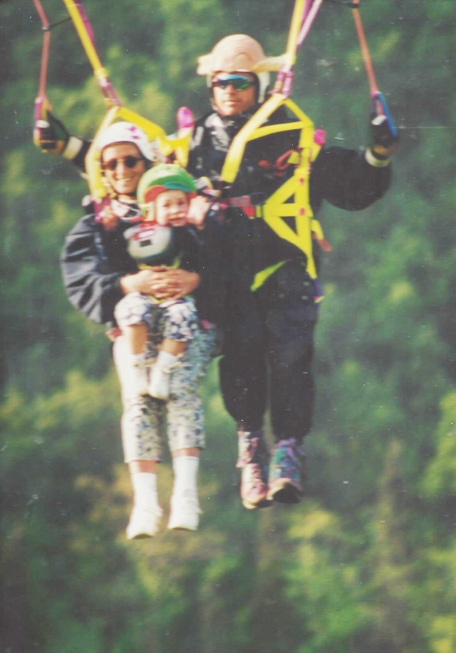 On 31 August 1991 the Parafly team was blessed with a little paragliding angel. Founding of the repair service: Reserve parachutes and paragliders could be checked and repaired. We started our first Parafly tours in Europe and even in Turkey. The Parafly-Taxi was approved by the Ministery of Transport. With a tandem flight, even people without any experience can get an understanding and feeling of flying. 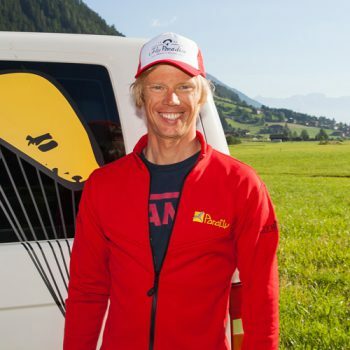 Hans-Peter Eller, founder of Flugschule Parafly Stubaital GmbH was killed as a passenger in a car accident. After a horrible start to the year, 2006 turned into a successful business year. Monika Eller continued the business on the same high standard as Hans-Peter Eller started it. Parafly goes South Africa! From now on, tours to South Africa were offered. 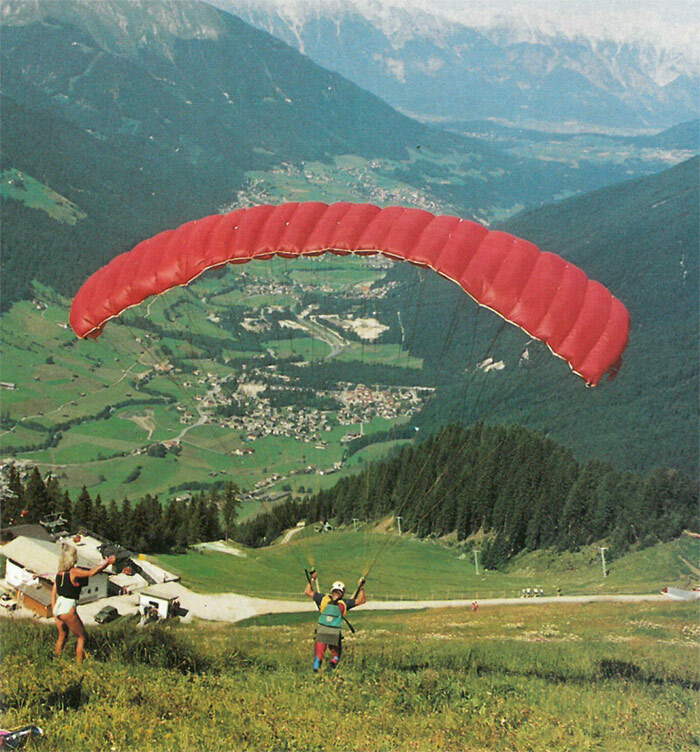 Parafly now has a co-operation with the paragliding school Papillon. 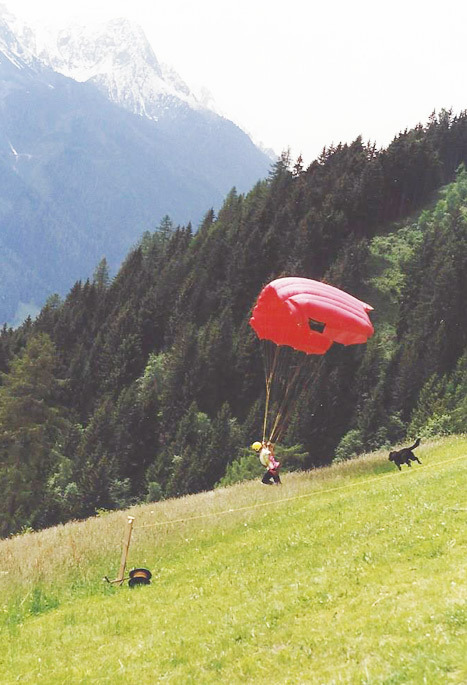 The co-operation carries the name APC – Papillon Alpen-Paragliding-Center getauft. European Flysafari! Mit Moni on Tour you can experience paragliding tours without a fixed location and we travel to destinations from Monaco, France, Slovenia, Croatia or Italy – Where the sun is shining and the wind lets us fly. Florina successfully completes the DHV instructor assistant course. 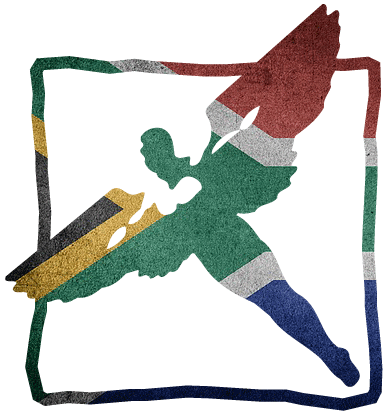 Florina goes South Africa! Flying in South Africa during winter becomes her specialty. Interested? Find out more about our flights!